Who hasn’t heard of the Amityville Horror or Borley Rectory? Some places become famous (or infamous) and their reputations remain prominent in the public consciousness. Other haunted places might be forgotten or remain unknown by many except local inhabitants and die hard ghost enthusiasts like us. Here are 10 less well known locations where the paranormal meets the regular world and gives it the chills. Between Bangor and Belfast on Maine’s coast lies the small town of Bucksport, whose most famous 18th century citizen was Colonel Jonathan Buck. 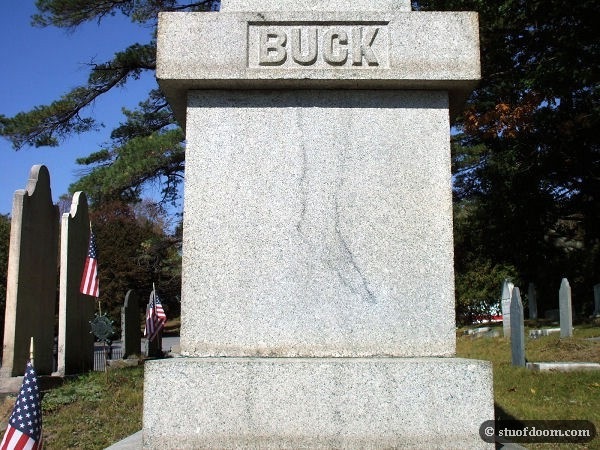 Buck’s grave in the local cemetery is marked by a large granite monument. The stone bears a curious stain or inclusion in the shape of a partial human leg and foot, supposedly due to a curse placed on Buck by a woman accused of witchcraft and later executed by hanging. After Buck’s death, the foot shape formed on the monument and numerous attempts to clean it off were unsuccessful. Is the “Cursed Tomb” real or just pareidolia? We’ll never know. Over many decades, details have changed, but the legend’s core remains the same: Buck wronged a woman and his memorial stone was marked by the vengeful spirit. The poet Robert Peter Coffin romanticized the Colonel Buck and the witch legend in his poem, The Foot of Tucksport. Cherry Hill was a neighborhood in the old Fourth Ward of the Lower East Side of Manhattan, which became infamous for the worst tenement slum in the city, Gotham Court. However, in 1900, a three-room flat on Cherry Street gained brief notoriety for being haunted. 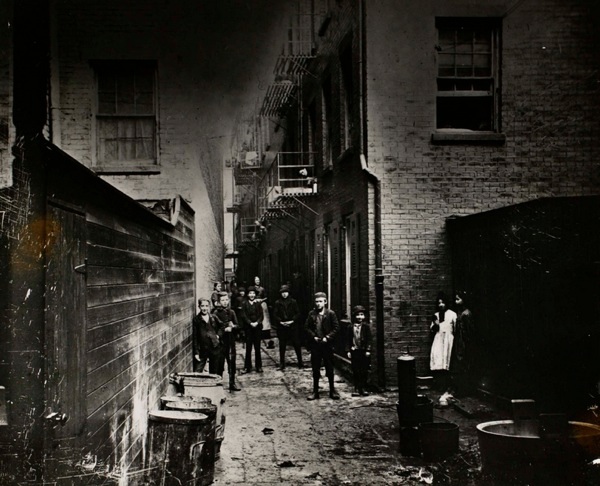 According to reports, for 19 years, even in overcrowded NYC, no tenant had been able to remain within the flat longer than a few hours before terrifying disturbances began: pictures turned upside down on the walls, furniture moved, residents were physical assaults. The poltergeist activity was believed due to the spirit of an old French woman, a widow who committed suicide by hanging herself following her husband’s death. This location shouldn’t be confused with the Cherry Hill estate in Albany, which is also supposed to be haunted. 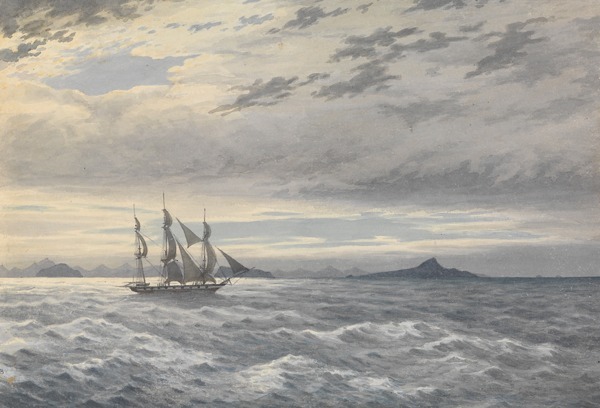 In 1852, the newly built vessel Good Times was launched from Bristol. In the beginning, superstitious sailors pegged Good Times as a lucky ship: no one was hurt during construction, she launched ahead of schedule, saved 8 days on her maiden voyage, and on the same trip made an $18,000 profit. But soon, always between midnight and 4 A.M., the men aboard began hearing a muffled voice crying “Oh, my” beneath the main hatch. A comprehensive search of the ship revealed no stowaways, but the voice continued to be heard every night. The unnerved sailors threatened mutiny. After several months of the phenomena repeating, the ship was sold, and Good Times’ reputation as haunted was sealed. Henry David Jardine was rector of St. Mary’s Episcopal Church from 1879 until his death in 1886. During his time at the church, a newspaper printed unsubstantiated accusations alleging Jardine had committed a number of crimes including sexual misconduct with young girls. Jardine sued for libel and lost. His “priesthood” was revoked. His body was found in St. Louis, where he’d traveled to contest the Church’s decision. He held a rag soaked in chloroform and some believed he’d committed suicide. 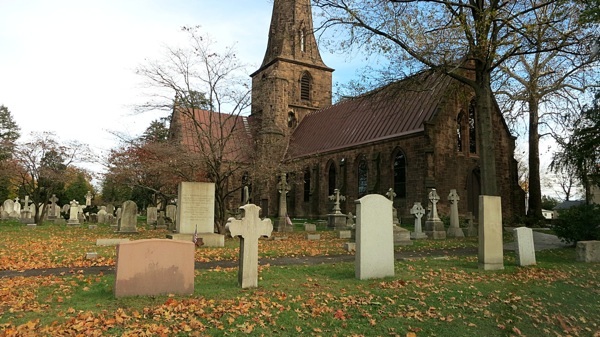 The murky circumstances surrounding his death led to his burial in unconsecrated ground. Years later, his body was exhumed and cremated, and his ashes rest in St. Mary’s, where mysterious footsteps have been heard. People have also claimed the priest’s ghost make an appearance. In 1982, California newspapers reported on the LeBaron Hotel (now the Wyndham San Jose Hotel and Resort)—specifically Room 538, which was said by employees and visitors to be haunted. The story began with housekeeper Lupe Moncivais, who claimed she first came across the spirit haunting the room in 1979 or 1980 after the death of a young woman from a drug overdose in November of that year. She heard a voice whispering her name and her hair was pulled, but she was alone at the time. Following the report, the hotel was deluged with requests to reserve the haunted room for the night. Guests reported other phenomena such as the elevators stopping on the fifth floor by themselves, faucets in Room 538 turning on and off, and a “woman in white” was seen entering the unoccupied room. The Burrville Cider Mill (formerly Burr’sMill) located just outside Watertown was built in 1801 and remains in operation today pressing apples into cider. The mill is believed to be haunted by the ghosts of former owners—Captain John Birr (rumored to have pirated on Lake Ontario) and Homer Rebb. Strange phenomena are said to have occurred including the disappearance of a 25-pound bag of sugar from a locked room. The current owners, employees, and visitors have seen apparitions and heard unaccountable noises such as heavy objects dropping, balls bouncing across the floor, the wheels of the old cider press turning, and smelled cigar smoke. Equipment tends to malfunction, but an appeal to Homer Rebb takes care of it. You can watch a video above made by a local television news crew. The former Cuban consulate, Villa Paula, is located in the Little Haiti district of Miami. Built in 1925, the building ceased to be an official residence a few years later after the death of its namesake, Paula Milord—wife of consul Domingo Milord—following complications during a leg amputation. 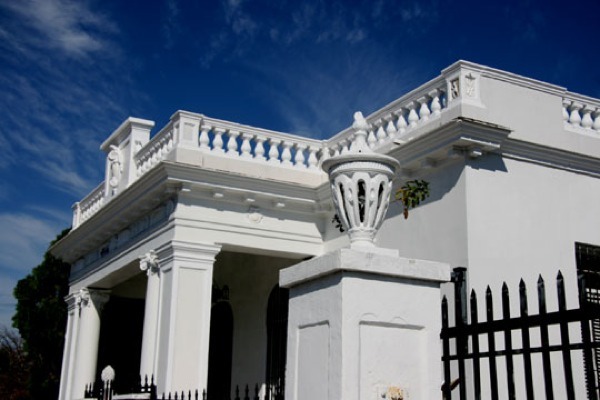 Villa Paula fell into private hands and gained a reputation as Miami’s most haunted location. The ghost of a one-legged, black haired woman was seen floating down the hall. Witnesses smelled coffee and roses, and heard ghostly piano music. Dishes were thrown on the floor. Three of a former owner’s cats were killed. A visiting Satanist entered and began choking. During a séance, a psychic claimed 5 separate spirits haunted the premises. The current owner has stated the property is peaceful now. 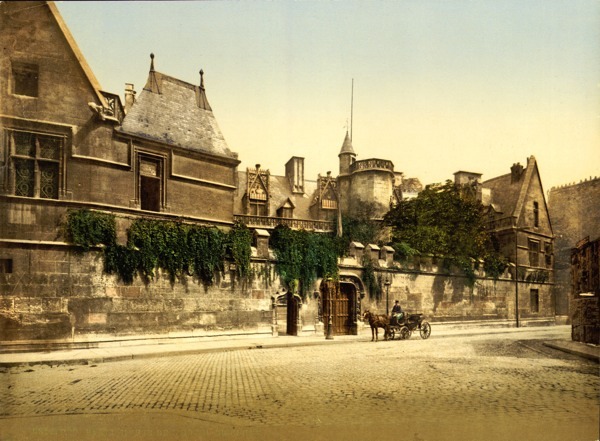 In late June 1896, the house of M. Lebégue at Valence-en-Brie near Paris was suddenly beset by strange, ghostly manifestations. Witnesses heard raps, furniture was overturned, and windows broken. But the strangest and most frightening phenomena to residents, servants, and visitors was a mysterious voice, described as “the hoarse voice of the giant at the fair” that issued from various places in the house including the cellar, the kitchen, the invalid Madame Lebégue’s bedside, the chimneys, under the plates on the dining room table and elsewhere. The voice insulted policemen and doctors and occasionally seemed pleased with itself when something destructive occurred. Many people heard the voice, including reporters. Although it was theorized a servant girl might be responsible for the physical phenomena, the auditory phenomena couldn’t be explained. 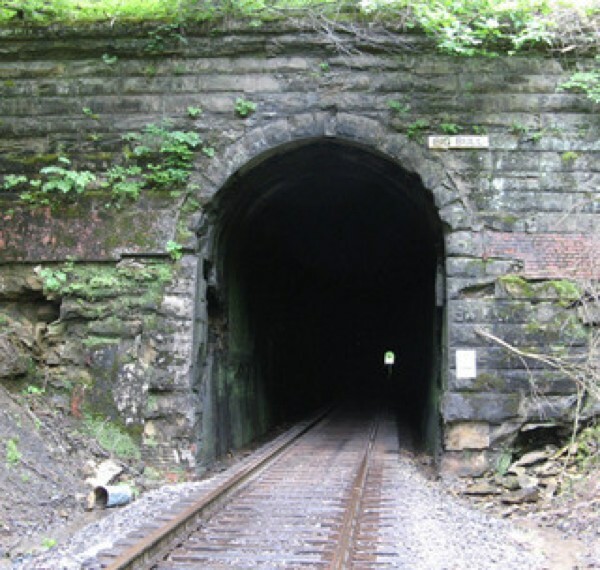 Newspapers reported in August 1905 and 1906 that the Big Bull Tunnel in Virginia, part of the Norfolk & Western Railway line, had been the site of paranormal manifestations as reported by a train crew. Local citizens were also disturbed by the phenomena, which included ghastly sounds like a man groaning in pain. A voice made declarations like, “They are drinking my blood.” According to witnesses—respectable railway employees—the tunnel was examined and no evidence of trickery could be found. It was believed at least three men lost their lives in the tunnel. Possible sources of the haunting? We found a report about the tunnel from 1901 indicating Robert Lemon, engineer, had his skull crushed and wasn’t expected to live, and in 1904, a flagman was knocked off a train and fatally injured. 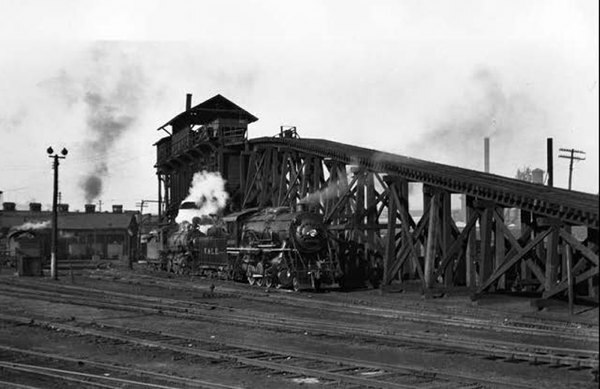 Flaherty near Laporte, Indiana was the location of sightings of a ghost believed to haunt the station on the Lake Erie Railway in 1904-1905. According to reports, the apparition was seen after sundown, terrifying the townspeople—the manifestation of a headless man standing near the station platform close to the water tank. The man held dinner pail and waved his arms. Just before disappearing, the ghost let out hair-raising shrieks. Locals identified the spirit as Columbus Cole, a popular resident of the town, who had been decapitated very near that same spot during a train accident when a boiler exploded. The visitations began shortly after Cole’s death. Many eyewitnesses in the neighborhood and surrounding areas claimed to have seen the ghost. The general theory was that Cole died with some unfinished business.